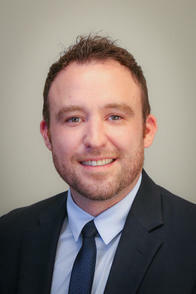 I’m Cody Shields I’ve been an Allstate agent for 2 years and am also a chamber member with Allstate. This wide range of experience has provided me with the knowledge needed to serve my customers with the best quality, care and advice. I’m a proud trusted advisor who is also pleased to call Belleville home. As an Allstate agent, employee and client of Allstate, I’m proud to bring "GOOD HANDS" to life right where I live – supporting and strengthening our communities through honest insurance practices.